The campus was originally initiated in September, 1985. The current center is a new, state-of-the-art building that was opened in August 2010. 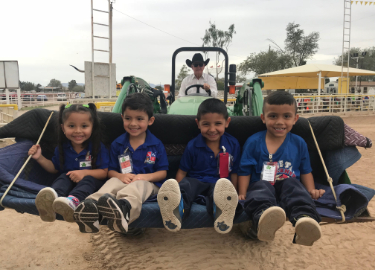 Ysleta Pre-K Center has been featured for its innovative early childhood program in the Scholastic news, Texas Monthly, Fortune 500, Hispanic Magazine, State Model for Early Childhood and HOPE foundation. 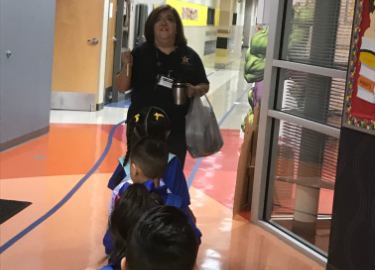 Programs based on NAEYC Position Statement on Curriculum, Assessment and Program Evaluation along with the Texas Pre-K Guidelines. 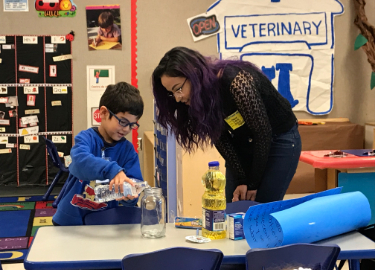 Integrates the teaching and learning of math and science, social studies, technology and the arts with literacy through the TEEM Project. It offers a 21st Century Technology Lab, Science and Research Lab, and Library. 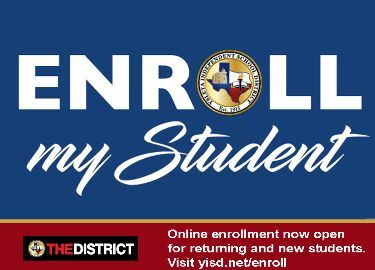 Ysleta Pre-K Center offers Instructional Programs such as: Balanced Literacy Children's Learning Institute (C.I.R.C.L.E) Activities, Early Education Counseling Program, 21st Century Technology Lab, Library Media Center, Positive Behavior Interventions and Support (PBIS), Special Education Units including a state of the art sensory room, Bilingual Education that provides a solid foundation for the dual program at the elementary level, Physical Education. 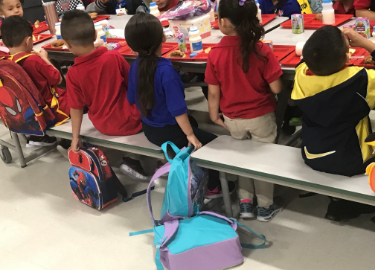 Ysleta Pre-K Center commits to ensure that all students with diverse backgrounds and needs have a safe, positive, and engaging educational experience so that they become confident, independent and motivated learners socially and academically for Kindergarten and throughout their educational career. 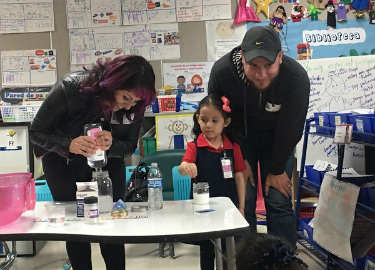 Parental Involvement activities are on-going throughout the year on a weekly/monthly basis. 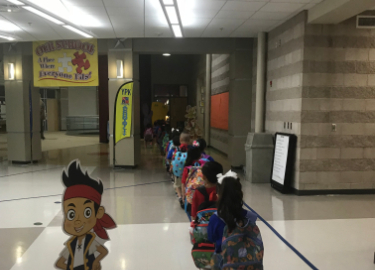 The following topics and themes are addressed: Literacy Night, Thinking and Growing Together, Literacy Bag, Love & Logic, Character Ed Suitcase, Family Math and Science Night, Health Awareness Seminars, P.E. 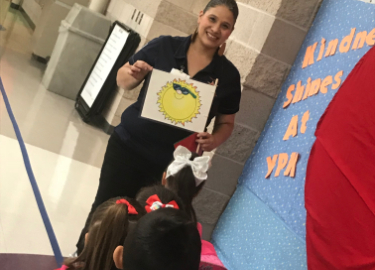 Walks, Dive into Book Reading Club, YPK Allstar Fitness, Empowering Families Embracing Learning. Which college is a match for you? We are gearing up for College! 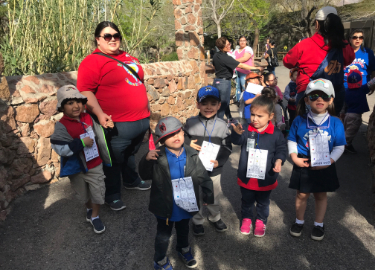 Ysleta Pre-K goes to the Zoo. Our Teddy Bears learned so many facts about animals and their habitats. 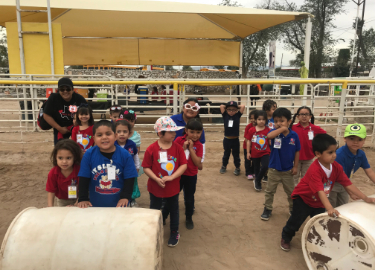 Ysleta Pre-K visits the Zoo! 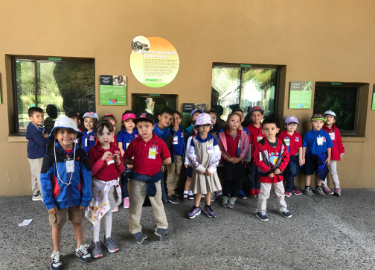 YPK Teddy Bears went to the El Paso Zoo. 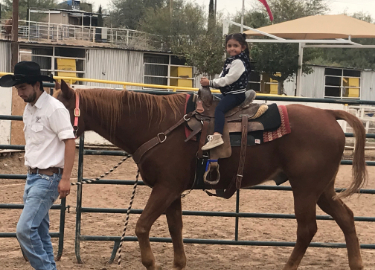 They learned about animals and their habitats. 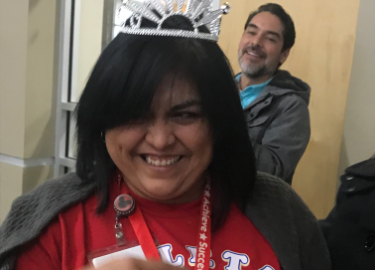 YPK 2018-2019 Teacher Of The Year Mrs. Norma Rios! 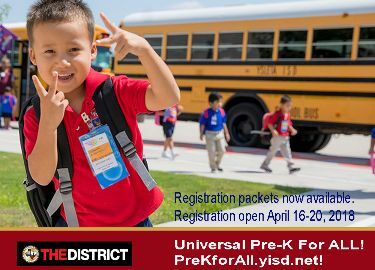 Register your child for Pre-K and reserve their seat.